From the time of legend, mythological archetypes and gods have been ascribed colourful personalities. We have stories of love and jealousy; heroic deeds and cowardly betrayals; kindness and cruelty; generosity as well as vicious behaviour towards fellow gods. These patterns mirror human behaviour, and provide the basis of personality types. Each personality is, of course, unique in that no one person is identical to another. However, we share common traits, and grouping these common traits together allows the creation of primary personality types. Various methods of classifying individuals into personality types exist. 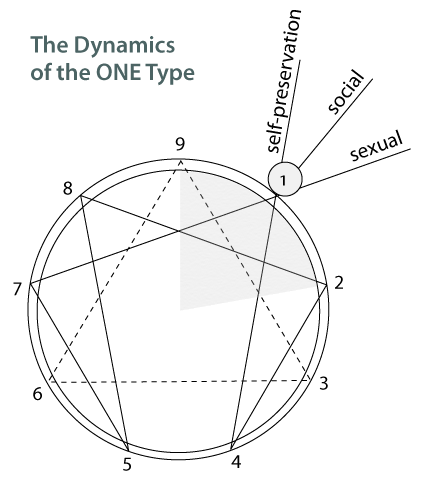 The Enneagram is one of these, but it is dynamic and sophisticated: it identifies more than four hundred personality sub-types, and recognises an individual’s level of maturity and growth. It not only shows the shortcomings of each type, but also suggests a path towards self-awareness. The Enneagram starts with nine primary personality types represented by the nine points formed by a combination of a triangle and a hexagon. Each of the nine primary types is identified by its principal common traits which are derived from a combination of a person’s inherent nature and childhood experiences. No Enneagram type is pure. Each primary type is influenced by the qualities of its dominant wing as well as the prevailing motivating need: self-preservation, social or sexual. Further, each personality will reflect its level of maturity. All these factors explain why the personalities of two people of the same primary Enneagram type may actually be quite dissimilar. The Enneagram typology can be used in any sphere where human nature is involved: in self-understanding; counselling; business management; inter-personal relationships; child and adolescent behaviour; psychology. The Enneagram allows us to discover what motivates us and what makes others tick. Perhaps most importantly it highlights our destructive habits; habits that have become encrusted with compulsions, fears and phobias over the years. The Enneagram recognises not only the shortcomings of each type, but it also sees potential. The personality types of the Enneagram have been correlated with graphology in a series of three volumes entitled Graphology and the Enneagram.